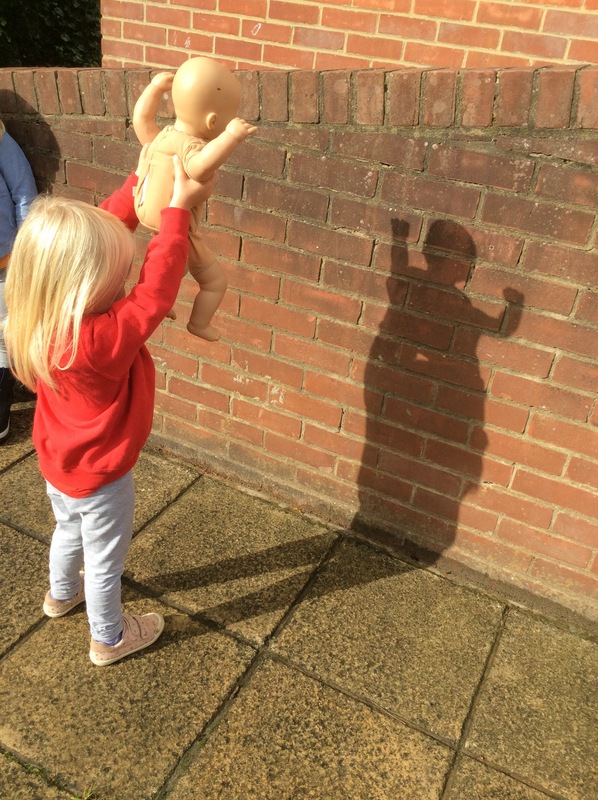 This week we are investigating light and dark. 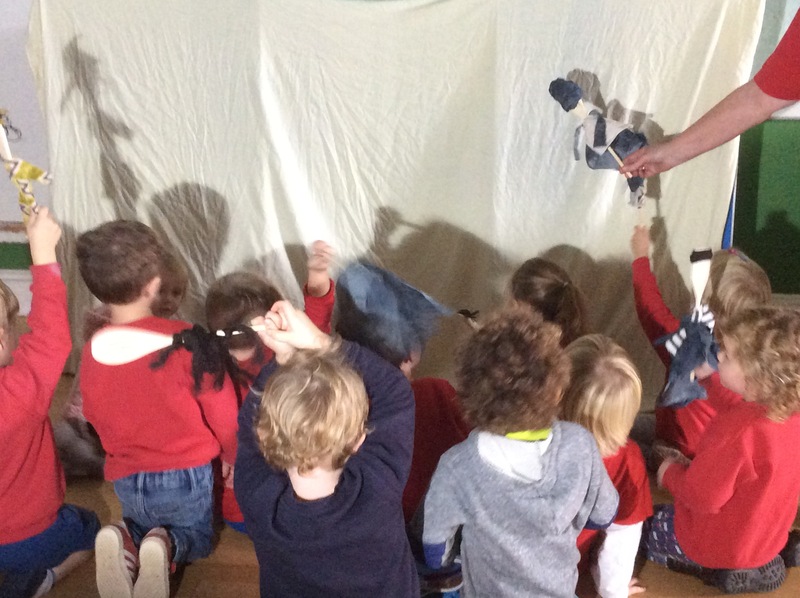 Today we made wooden spoon puppets with Issy. Issy helped to cut out the clothes, and some of us stuck hair made out of wool. 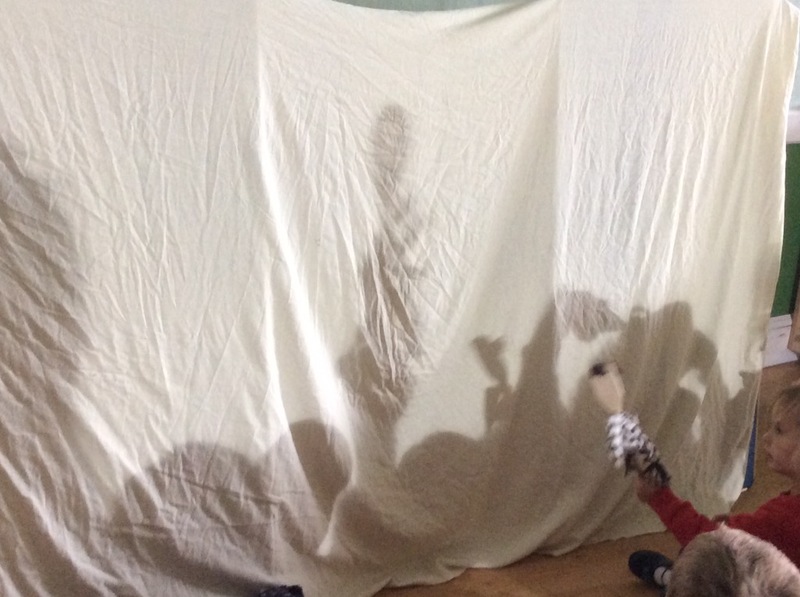 After Circle Time we set up a sheet and a bright light and used our hands or puppets to make different shapes. 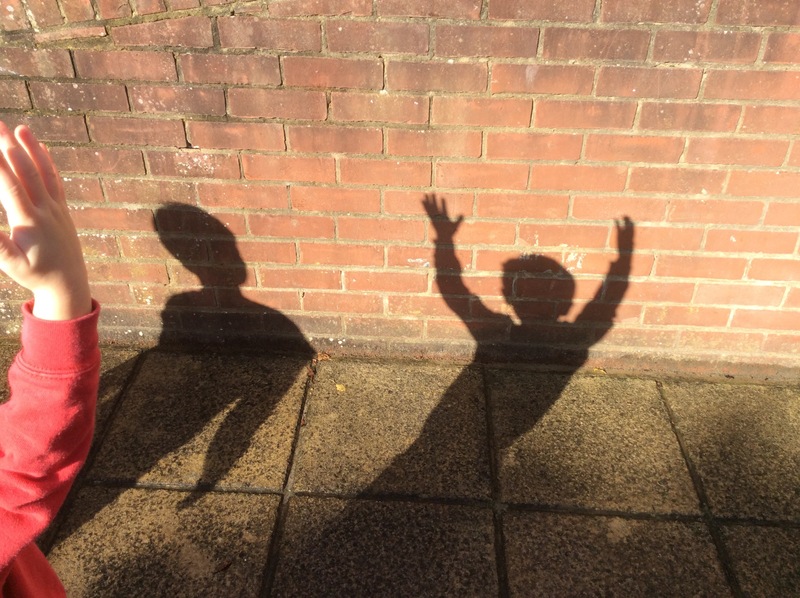 We also went outside when the sun was shining and looked at our shadows and silhouettes. We had the small world farm animal set out and made a large farmyard with all the different animals. In our fine motor tray we had the bear sorting set out, with plates and tweezers the children have to match bears to plates.